The legislation replaces most of the seven current marginal income tax brackets (10%, 15%, 25%, 28%, 33%, 35%, and 39.6%) with corresponding lower rates: 10%, 12%, 22%, 24%, 32%, 35%, and 37%. The legislation also establishes new marginal income tax brackets for estates and trusts, and replaces existing “kiddie tax” provisions (under which a child’s unearned income is taxed at his or her parents’ tax rate) by effectively taxing a child’s unearned income using the estate and trust rates. The legislation roughly doubles existing standard deduction amounts, but repeals the deduction for personal exemptions. Additional standard deduction amounts allowed for the elderly and the blind are not affected by the legislation and will remain available for those who qualify. Higher standard deduction amounts will generally mean that fewer taxpayers will itemize deductions going forward. Home mortgage interest deduction — Individuals can deduct mortgage interest on no more than $750,000 ($375,000 for married individuals filing separately) of qualifying mortgage debt. For mortgage debt incurred prior to December 16, 2017, the prior $1 million limit will continue to apply. No deduction is allowed for interest on home equity indebtedness. Medical expenses — The adjusted gross income (AGI) threshold for deducting unreimbursed medical expenses is retroactively reduced from 10% to 7.5% for tax years 2017 and 2018, after which it returns to 10%. The 7.5% AGI threshold applies for purposes of calculating the alternative minimum tax (AMT) for the two years as well. Charitable contributions — The top adjusted gross income (AGI) limitation percentage that applies to deducting certain cash gifts is increased from 50% to 60%. Miscellaneous itemized deductions — Miscellaneous itemized deductions that would be subject to the 2% AGI threshold, including tax-preparation expenses and unreimbursed employee business expenses, are no longer deductible. The child tax credit is doubled from $1,000 to $2,000 for each qualifying child under the age of 17. The maximum amount of the credit that may be refunded is $1,400 per qualifying child, and the earned income threshold for refundability falls from $3,000 to $2,500 (allowing those with lower earned incomes to receive more of the refundable credit). The income level at which the credit begins to phase out is significantly increased to $400,000 for married couples filing jointly and $200,000 for all other filers. The credit will not be allowed unless a Social Security number is provided for each qualifying child. A new $500 nonrefundable credit is available for qualifying dependents who are not qualifying children under age 17. The AMT is essentially a separate, parallel federal income tax system with its own rates and rules — for example, the AMT effectively disallows a number of itemized deductions, as well as the standard deduction. The legislation significantly narrows the application of the AMT by increasing AMT exemption amounts and dramatically increasing the income threshold at which the exemptions begin to phase out. Application of the federal estate and gift tax is narrowed by doubling the estate and gift tax exemption amount to about $11.2 million in 2018, with inflation adjustments in following years. In a permanent change that starts in 2018, Roth conversions cannot be reversed by recharacterizing the conversion as a traditional IRA contribution by the return due date. For divorce or separation agreements executed after December 31, 2018 (or modified after that date to specifically apply this provision), alimony and separate maintenance payments are not deductible by the paying spouse, and are not included in the income of the recipient. This is also a permanent change. Prepared by Broadridge Investor Communication Solutions, Inc. Copyright 2017. Broadridge Investor Communication Solutions, Inc. does not provide investment, tax, legal, or retirement advice or recommendations. The information presented here is not specific to any individual’s personal circumstances. 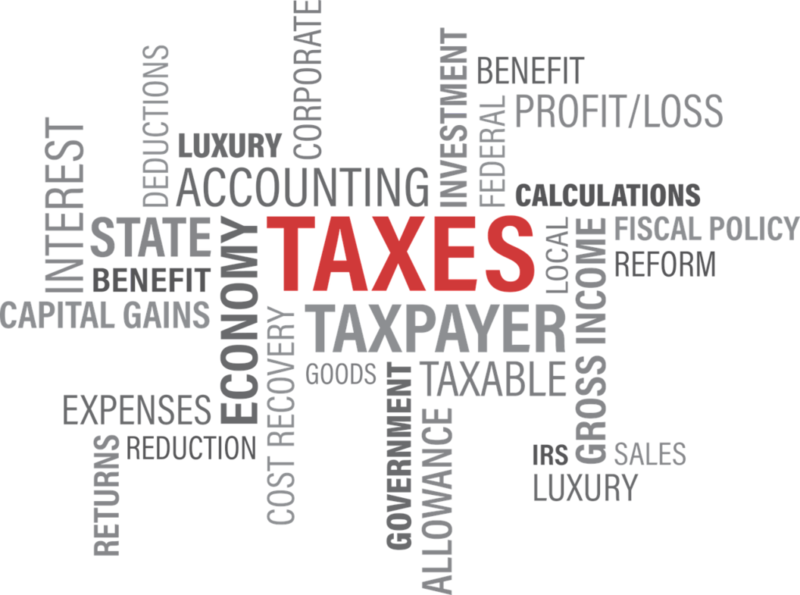 To the extent that this material concerns tax matters, it is not intended or written to be used, and cannot be used, by a taxpayer for the purpose of avoiding penalties that may be imposed by law. Each taxpayer should seek independent advice from a tax professional based on his or her individual circumstances.These materials are provided for general information and educational purposes based upon publicly available information from sources believed to be reliable — we cannot assure the accuracy or completeness of these materials. The information in these materials may change at any time and without notice.